We have a wide selection of kids western boots. Square toe, pointy toe, round toe, pink, purple, brown..we have them all. Looking for waterproof boots? We have those too! 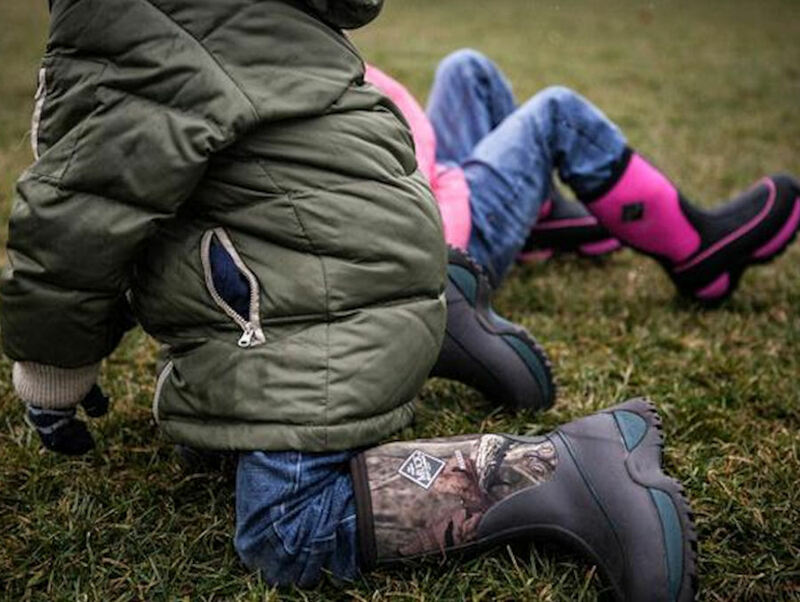 Muck boots are great to keep your kids feet warm and dry.s. Mucks comfortable high quality kids boots can handle all the snow, puddles and outside play your child can throw at them. From girly polka dots, camo in pink and brown, or even the solid colors we have a variety you have to come check out. 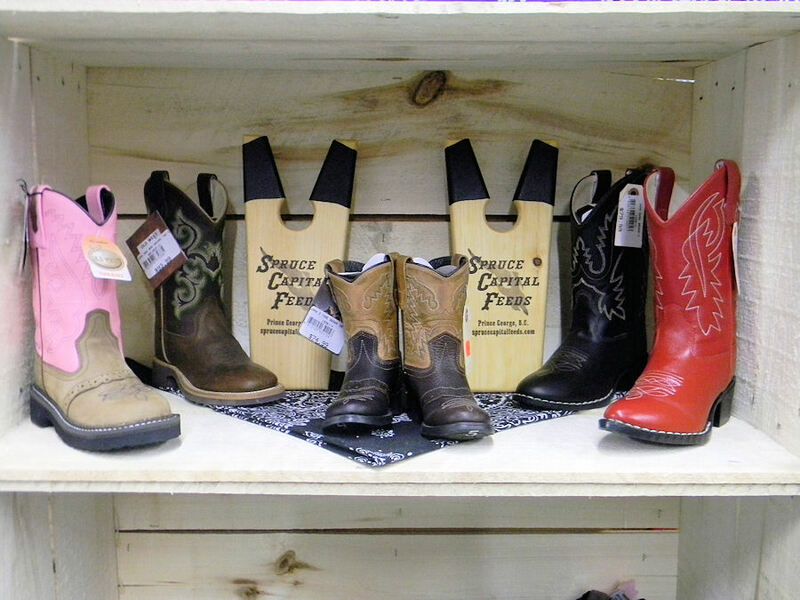 Spruce up your little cowboy or cowgirl’s outfit with a pair of boots! Starting from childs size 4 to youth size 7, your kids will not want to take them off! We stock Smokey Mountain brands that come in a variety of colours.